Parvathi Pokala, DDS & Associates! We are committed to providing gentle, friendly and comprehensive dental care to kids. We believe that good oral health is vital for a child's development, and we're here to help every step of the way. As your child's dentist in San Diego, we take pride in creating and maintaining beautiful and healthy smiles for our patients in an environment that is lighthearted and fun. We focus on establishing oral health habits that last a lifetime, with education and prevention as our primary tools. Paying attention to each young patient's specific needs and preferences is just part of what distinguishes our practice. Drs. Parvathi Pokala and Harjot Chawla, your pediatric dentists in San Diego, view it as their mission to help children and parents maintain healthy teeth and gums to avoid the burden of dental disease. We offer a variety of options to keep children comfortable during treatment including nitrous oxide (laughing gas), oral sedation and IV sedation in the practice and general anesthesia at Rady Children's Hospital. As part of your child’s dental prevention program, dental sealants are often recommended to protect their permanent back teeth from developing dental decay. In fact according to the American Dental Association, dental sealants reduce the risk of cavities in molars by approximately 80%. While establishing a good oral hygiene regimen, maintaining proper toothbrushing habits, and avoiding sticky sweets are essential for the prevention of dental decay, children’s teeth often need more protection. Our pediatric dental practice offers a comfortable, prevention orientated environment that helps parents achieve and maintain optimal oral health. For pediatric patients with special healthcare needs accepting dental care in the traditional dental office setting we offer Nitrous Oxide sedation, oral sedation and IV sedation. We also offer dentistry under general anesthesia at Rady Children's Hospital in San Diego. Each patient is assessed individually before we make a recommendation for any type of sedation. Our doctors have been members of the medical staff for over 25 years and are very comfortable providing dental care in the operating room. Tooth decay is the most chronic childhood disease in our country. According to studies, children with poor oral health are more than three times as likely to miss school due to dental pain. While these statistics are alarming, the good news is that tooth decay is for the most part preventable. Scheduling regular checkups and cleanings for your child at the dentist is essential for maintaining their oral health. When children are scared, have strong gag reflexes, medical conditions, special needs, or are unable to sit for one reason or another, varying levels of dental sedation can carefully be administered to aid relaxation and allow dental care to be performed. Depending on the particular needs of each child, the pediatric dentist will suggest the best method of dental sedation. 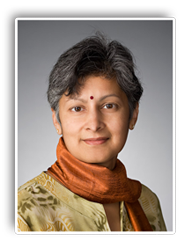 Dr. Chawla was born and raised in New Delhi, India and moved to California in 1991. 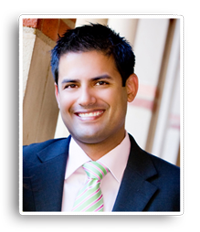 He is a graduate of UCLA with a bachelor’s degree in Neuroscience and received his Doctor of Dental Surgery (DDS) from USC. He completed a General Practice Residency with an emphasis in Hospital Dentistry at UCLA and post graduate residency training in Pediatric Dentistry at Montefiore Medical Center, New York. Our dental office is latex free and utilizes the latest state-of-the-art equipment and cutting edge technology and we uphold the strictest sterilization techniques. We know that many people may feel anxious about coming to the dentist, so it is our goal to make your visit with us as pain and anxiety free as possible.